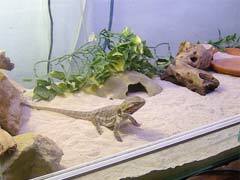 Bearded dragons as pets can be very rewarding creatures for a wide range of ages. They are relatively docile animals and they aren’t known to run away when they have it good in the cage. This makes it easy to care for them, but they do have a few traits that need to be remembered when caring for them. Here is a list of 7 of these traits to be remembered. Bearded Dragon Food – What To Give To Your Pet? 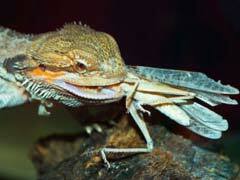 Like most lizards, a bearded dragon diet in the wild consists of fruits, veggies, and insects. Their diet in captivity needs to match this as closely as possible. Adult dragons will typically eat far more fruits and vegetables in the wild than insects, mainly because they are easier to catch. Baby dragons, however, eat far more insects than adults to help provide the needed protein for growth. Known as omnivores, bearded dragons are often opportunistic eaters. 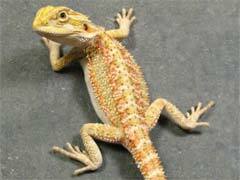 Bearded dragons are relatively small as pet reptiles go, but they are a bit more active than other reptiles. This means that bearded dragon cages need to be large enough to supply your pet with plenty of room to roam. A full grown dragon should be housed in a 55 gallon or more aquarium. Be sure the aquarium is wide not tall. Glass aquariums make the best bearded dragon cages since they keep the lizard from climbing up the walls and out the top. The glass sides also help keep live food like crickets in the cage.